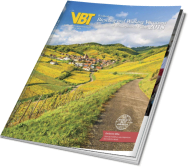 VBT has partnered with Emerald Waterways, among the finest river cruise providers, for a European bicycle vacation on a grand scale. From Nuremberg to Budapest, you’ll sail the fabled Danube, disembarking to ride the continent’s longest riverside bike path and other car-free byways. 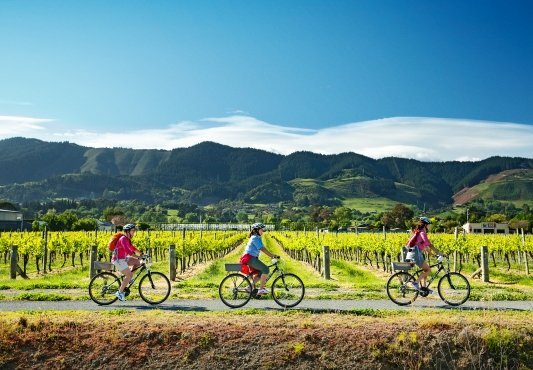 Traverse gentle scenic hills, sylvan forests, stunning wine country, and bike-friendly cultural capitals. Tour medieval hamlets and elegant Baroque treasures. Enjoy full days in Vienna and Budapest. Sample Austria’s crisp wines and Bavaria’s best beers. And return after each invigorating day to the comfort of your deluxe river ship. 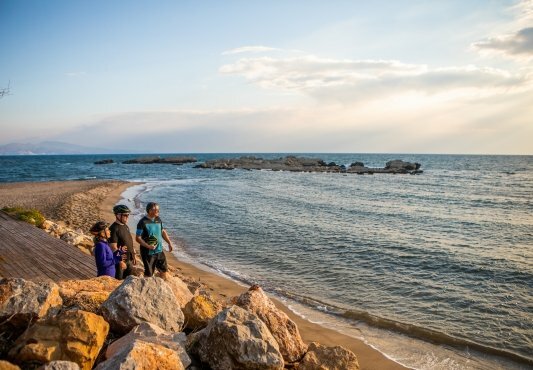 On Shore: This tour offers easy riverside terrain, with a few climbs to reach riverside towns. Riding is primarily on bike paths of both pavement and packed gravel, with some road riding through both urban and rural areas. Our VBT support shuttle is available every day at designated points for those who would like assistance. Onboard Ship: Our group of VBT guests will be part of a larger group on board our 182-passenger river cruise ship. Every day will include your choice of exclusive VBT activities and opportunities to join other activities that are offered by the ship. While in port our ship may be docked adjacent to other ships. This means we may walk through other ships while boarding or disembarking, and some views may be obstructed while in port. Depart from home for Prague, Czech Republic. The particulars of your arrival overseas are detailed with your flight itinerary. Upon arrival at the Prague airport, claim your luggage and clear customs. If your luggage is lost, you must fill out a PIR form before leaving the customs area. VBT representatives are not allowed into the customs area. Also, make sure that your VBT luggage tags are attached to your bags so that your representative can identify you. Upon leaving customs, enter the arrival hall and look for your VBT representative, who will be holding a VBT sign. Your representative welcomes you to Prague and helps you transfer via taxi or van (approximately 30 minutes, depending upon traffic) to your Prague hotel. If your VBT representative is not immediately in sight, there is a “Meeting Point Column” just outside of the Arrivals gate. Please wait there, as the VBT representative may be transferring with an earlier arrival. They should arrive within 30 minutes of your scheduled arrival. Your hotel room may not be available until after 2:00 p.m. If you arrive early, you may store your luggage with the reception desk. The rest of the day is free to relax or explore the city with your included 1-day Prague Transportation Pass. VBT provides you with City Information that includes information and recommendations on what to see and do during your stay in Prague. At 9:00 a.m., meet your VBT representative in the hotel lobby to transfer to Nuremberg, Germany (approximately 3.5 hours). You will stop just before the German border to stretch your legs and perhaps purchase a coffee or water. Arrive at the dock in Nuremberg at approximately 12:30 p.m. and board your Emerald Waterways ship. Your cabin may not be ready for you until 3:00 p.m. However, you are welcome to enjoy lunch on board, served between 12:30 p.m. and 3:30 p.m., relax in the ship’s common areas, take a walk, or enjoy the nearby beer garden. Unusually, Nuremberg’s cruise dock is located four miles from the city’s train station and downtown. Taxis and buses are available for those who would like to head into town for a Bratwurst. 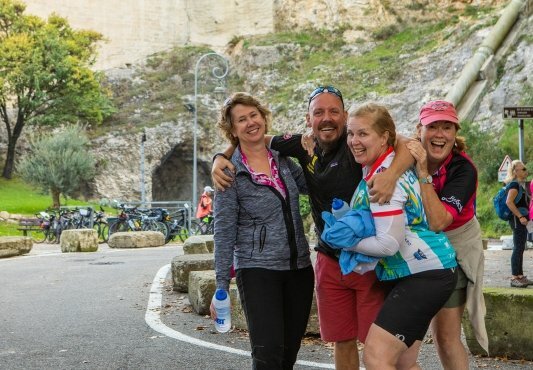 At 2:30 p.m., meet your Trip Leaders and fellow travelers on board for introductions and a safety and bike-fitting session, followed by a warm-up ride on a local bike path along the Main-Danube Canal. Later, enjoy a welcome dinner on board. The ship sails for Regensburg this evening. Please note regarding WiFi on board the ship: Due to the nature of the ship movements, internet access is not always available. If stable internet access is critical to you, VBT recommends that you purchase your own bundle before traveling overseas. Please note regarding Ride with GPS: Due to the limited WiFi on board, VBT also recommends that you download your VBT Maps & Route Notes from a WiFi zone prior to arrival on the ship if you wish to use Ride with GPS on your smartphone. During your vacation, you will be able to follow these route notes on your smartphone with turn-by-turn voice navigation as you ride. This option is in addition to VBT’s traditional printed maps and route notes available on tour. Enjoy a relaxing breakfast this morning as we sail downstream towards Regensburg. En route, you disembark in Kelheim, a small Bavarian town near the picturesque Danube Gorge, a narrow stretch lined with cliff walls. We depart Kelheim, cycling along the scenic Danube banks. Following the Danube Bike Path, our ride is easy, mostly car-free, and scenic. This is the famous EuroVelo 6, which traverses 10 countries while traveling 2,270 miles from the Atlantic Ocean in France to the Black Sea at Constanta. The EV6 includes the Danube Bike Path, the most popular cycling holiday destination in Europe. Rejoin your ship in Regensburg in time for a late lunch onboard. As you’ll see on approach, Regensburg is an imposing town of red-roof houses at the convergence of the Danube and Regen rivers. Its 12th-century stone bridge features 16 arches spanning the Danube and reaching into the Old Town. Join a local guide for a walking tour, gaining insight into the town’s medieval history. A traditional local band performance on deck greets you back on board. There’ll be time to relax a while before the Captain’s Welcome Cocktail and Gala. With its regional specialties, tonight’s dinner completes the day’s immersion into all things Bavaria! Sail for Passau tonight. Arrive in Passau during breakfast. There’ll be free time to explore its splendid Gothic and Baroque charms on your own. 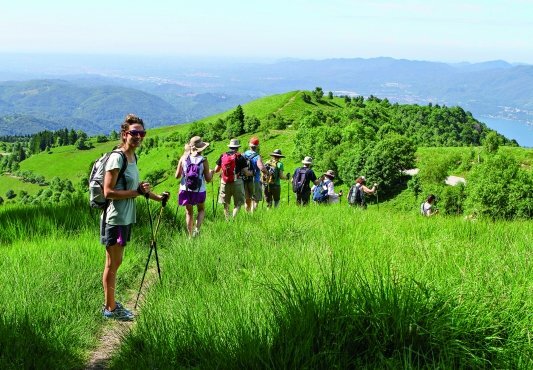 If you wish, you may stretch your legs with a hike to the hilltop pilgrimage church of Pauliner Kloster Mariahilf. You may access it directly from the Innstadt district via the “heavenly ladder” of 321 canopied steps. From the monastery grounds, enjoy sweeping views of Passau. Your bicycles are waiting for you here, ready for your afternoon reel toward Aschach through a beautiful forest. 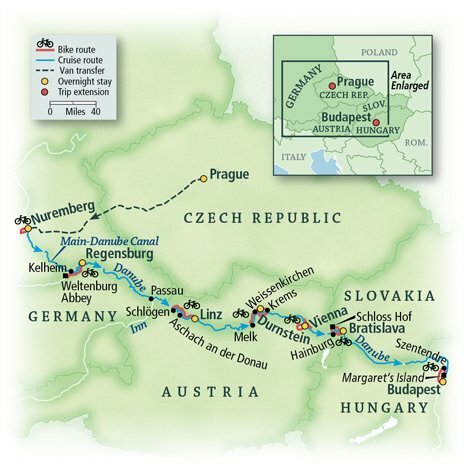 You follow the Danube bike route on a leisurely ride to Ottensheim, before shuttling to Linz, Austria, home of the Linzer torte, the oldest cake in the world, and an impressive repository of well-preserved medieval, neoclassical, neo-Baroque, and neo-Renaissance buildings. Our river ship arrives in Linz late this afternoon, just as we are arriving. There’ll be time to relax in your cabin before dinner and evening activities on board. Our ship is moored in Melk, Austria, when you wake. After breakfast, join a shuttle to the spectacular Benedictine Abbey of Melk, perched on a scenic bluff, where a local guide introduces us to one of Europe’s largest Baroque monasteries. After touring its magnificent rooms, you may stroll the gardens before returning to the ship for lunch. Later, cycle through what is perhaps the most beautiful stretch on the Danube, the Wachau Valley, Austria’s celebrated wine-growing region. The “Wachau Cultural Landscape” was recognized as a UNESCO World Heritage Site in 2000. As for its physical landscape, it is blessed with lush vineyards and hillside orchards set among ruined castles, churches and abbeys. There are few places that match the Wachau for its striking beauty and rich viniculture. 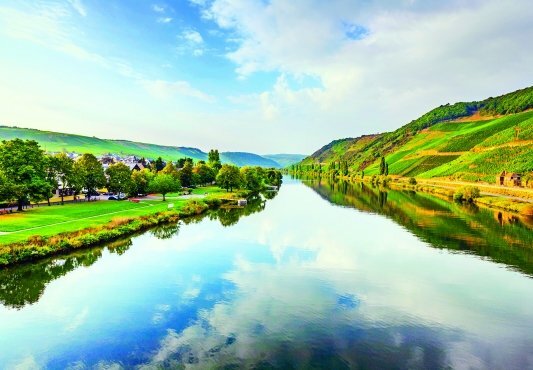 You will ride through the scenic hamlets of Spitz and Wiessenkirchen, nestled between the Danube and its rising banks, reeling into Dürnstein, a center of Wachau wine production. Admire its stunning powder-blue bell tower soaring above red roofs. A cliffside castle, which once held Richard the Lionheart captive, watches over the scenic town. Rejoin your ship here late this afternoon and perhaps join a guided hike to Dürnstein Castle. Later, enjoy time to relax prior to dinner. This evening, you set a course for Vienna. Our ship is in Vienna from very early this morning until very late tonight, making it a convenient base for exploring Austria’s glorious capital. Vienna is renowned as one of Europe’s most cycle-friendly cities, so you will make use of its abundant bike paths and bike lanes. From your ship, you ride along the Donauinsel, or Danube Island, a 13-mile-long strip where scenic vistas and quiet riding get your Vienna discoveries off to an inspiring start. After lunch on board, explore Vienna on your own, pursuing your own whims and interests. Home to Strauss, Beethoven, and Mahler, the gracious boulevards of Vienna are awash in culture and elegance. Head to the Ringstrasse, the circular avenue that replaced its demolished medieval wall, to marvel at the city’s most breathtaking architecture, from the gleaming Imperial Palace and St. Stephen’s Cathedral to the famed Vienna State Opera. And be sure to take a break in one of the city’s famed coffee houses to experience Viennese café culture firsthand. In the late afternoon, you are invited to join an optional excursion to the Belvedere, an elegant series of Baroque buildings built in the early 18th century as the summer residences of Prince Eugene of Savoy. The complex includes two palaces; the upper one holds Austria’s single greatest collection of art, including the largest collection by Gustav Klimt. The private event is available only to those on our ship, and transportation is included in the price. Booking details will be provided with your final documents. This evening, join an optional excursion to a special Viennese Evening Concert, featuring music of Strauss and Mozart. The private event is available only to those on our ship, and transportation is included in the price. Booking details will be provided with your final documents. Awake in Bratislava this morning, the riverside capital of Slovakia and the only capital to border two other nations. Disembark for a guided walking tour of the city after breakfast, then take some free time to explore. You’ll find an unusual mix of 20th-century Communist-era architecture, Baroque palaces, medieval spires, and the narrowest house in Europe—all overlooked from a hillside by the rectangular white castle and watchtowers of the Bratislava Castle. After lunch on board, you pedal out of town, gaining glimpses of the ancient cliff side ruins of Devín Castle. Later, cross into Austria via the Freedom Cycling Bridge and arrive at Schloss Hof, the “hunting lodge” of Prince Eugene of Savoy. You’re invited to pause for coffee and cake in this elegant setting, after which you may roam the splendid gardens and castle. Those seeking downtime are welcome to take VBT’s transport back to the ship from here. The long option today traverses the forests and meadows of the Danube-Auen National Park, one of the largest remaining floodplains of the Danube. Arrive in Hainburg later, a small town on the Austrian bank where Joseph Haydn studied music as a young boy, before riding back into Slovakia and to our awaiting ship. Back on board, join a cocktail reception and Gala Dinner this evening as the ship starts its voyage to Budapest. You will be docked in Budapest all day today and will stay overnight until disembarkation tomorrow morning, giving you ample time to explore this jewel on the Danube. After breakfast, shuttle up river (50 minutes) to start today’s ride in Danube-Ipoly National Park. Our destination is the charming town of Szentendre, a delightful artists’ community brimming with galleries and workshops. But first, stop to explore the Hungarian Open Air Museum, dedicated to the folk architecture, culture and lifestyle of Hungary in eight regional units on 150 acres. Continue riding at your leisure into Szentendre, where you’ll have some free time to browse the galleries and shops. 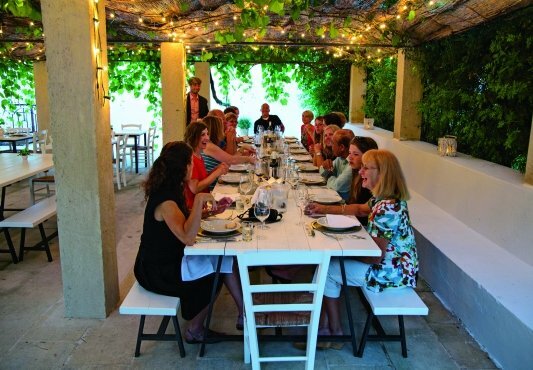 Your trip leaders will treat you to a final picnic showcasing favorite Hungarian specialites. Return to Budapest from Szentendre much faster than you got here: by way of a high-speed water taxi. If you seek time away from your bike today, you may begin your guided explorations with your choice of tours: Explore Budapest as a whole, taking in the major sites of the Buda and Pest sides of the Danube, or walk up the slopes of the right bank for up-close views of Castle Hill and the Old Town, where Fisherman’s Bastion provides magnificent views of the city and the elegant Chain Bridge that spans the river. Back on board, enjoy a full roster of entertainment and dining to celebrate your week on the Danube with your fellow travelers. As a special treat, our ship lets loose its moorings once more so that you may witness the panorama of this beautiful city illuminated at night. After breakfast, disembark your ship and conclude your Danube odyssey in fitting style: with a relaxed reel through this bike-friendly city. Well-paved, dedicated bike lanes provide lasting and up-close views of the Parliament Building and the Castle Complex. Arrive by bike by about 11:00 a.m. at the Andrássy Mamaison, where your tour comes to an end. Spend tonight at the Mamaison Andrássy Hotel, one of the Leading Small Hotels of the World. VBT provides you with City Information containing recommendations on what to do during your stay in Budapest. Your included day pass for Budapest’s renowned public transportation system makes it easy to explore. After breakfast*, transfer to the Budapest airport (approximately 30 minutes) for your departing flight**. Please ensure that you are ready in the hotel reception area at the designated time. Please note*: For guests with early-morning departures, breakfast at the hotel may not be available. Please check with the front desk to verify the times that breakfast is served. Please note**: VBT recommends that you check your transfer time in your “Transfer Reminder” or with the hotel’s reception desk the night before your flight. VBT transfer times and departure points are finalized in advance and cannot be modified for individual guests. If you extend your stay beyond the scheduled program dates, return transportation to the airport will be at your own expense. You are responsible for making your own way to Nuremberg, Germany to meet your Emerald Waterways ship. Please arrive between 12:30 and 2:30 p.m. Please note that you cannot embark before 12:30 p.m. as the ship is being prepared for you. If you are late, you must contact the ship as soon as possible to make arrangements to meet the ship. The ship docks are located outside the town center of Nuremberg. 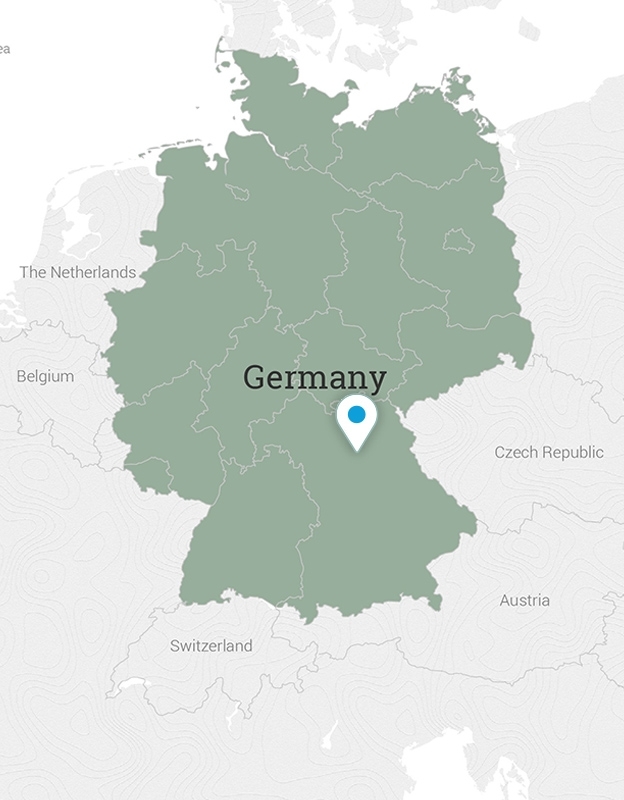 As the exact location of the ship may change, please call the ship on your arrival in Nuremberg for directions. Your cabin may not be ready for you until 3:00 p.m. However, you are welcome to enjoy lunch on board, served between 12:30 p.m. and 3:30 p.m., relax in the ship’s common areas, take a walk, or enjoy the nearby beer garden. Unusually, Nuremberg’s cruise dock is located four miles from the city’s train station and downtown. Taxis and buses are available for those who would like to head into town for a Bratwurst. Your tour concludes at the hotel after this morning’s city ride. The hotel will help you book a taxi at your own expense to the airport. Important: Train or air departures from Budapest prior to 1:00 p.m. are not recommended. If you depart earlier, you are responsible for your own transfer arrangements from the ship. An upscale boutique hotel boasting an award-winning Art Nouveau design, the Mamaison Hotel Riverside Prague is ideally located on the west bank of the Vltava River, near the Charles Bridge and within easy reach of Pragues historic and tourist districts. The National Theatre, Dancing House, Prague Castle and numerous other architectural and cultural treasures are within walking distance, and music lovers will appreciate the proximity to Mozarts Prague residence. VBT has also included a Prague Transportation Pass, to allow you easy, unlimited public transportation to other areas of Prague. Emerald Waterways ‘Star-Ships are designed to provide the most efficient and comfortable journey during your seven nights on board. The 72 generously-proportioned suites and 20 staterooms feature all the amenities you need to begin and end each rewarding day of cycling, including a private bath with shower, hairdryer, bathrobes, and slippers. A mini-bar and complimentary bottled water are restocked daily and a safe protects your valuables. Complimentary Wi-Fi, a flat-screen TV and infotainment system keep you plugged in. Onboard power is 220 volts; North American cruisers may require a power adapter. Depart from home for the Czech Republic. The particulars of your arrival overseas are detailed with your flight itinerary. Upon arrival at the Prague airport, claim your luggage and clear customs. If your luggage is lost, you must fill out a PIR form before leaving the customs area; VBT representatives are not allowed into the customs area. Also, make sure that your VBT luggage tags are attached to your bags so that your representative can identify you. Upon leaving customs, enter the arrival hall and look for your VBT representative, who will be holding a VBT sign. Your representative welcomes you to Prague and helps you transfer via taxi or van (approximately 30 minutes, depending on traffic) to your Prague hotel. If your VBT representative is not immediately in sight, there is a “Meeting Point Column” just outside of the Arrivals gate. Please wait there, as the VBT representative may be transferring with an earlier arrival. They should arrive within 30 minutes of your scheduled arrival. Your hotel room may not be available until after 2:00 p.m. If you arrive early, you may store your luggage with the reception desk. The rest of the day is free to relax or begin your exploration of the city with your included 3-day Prague Transportation Pass. At the hotel, your VBT Representative, Barbra, will be available to offer information about getting around and also about restaurants and sites of interest, as well as purchasing tickets for some of Prague’s many high-quality classical music venues. You will also have the option to book a walking tour of the city (at an additional cost of approximately €22-28). Barbra’s schedule varies and is dependent on the group members’ arrivals. Her actual schedule will be relayed upon your arrival in Prague. VBT provides you with City Information that includes information and recommendations on what to see and do during your stay in Prague. You may reach VBT’s local meet and greet representative, Barbra Zukalová, in advance by email at [email protected] to make guided tour reservations in Prague. Explore Prague’s unsurpassed culture and history. You may wish to visit Prague Castle, perched above the Vltava River across the Charles Bridge. 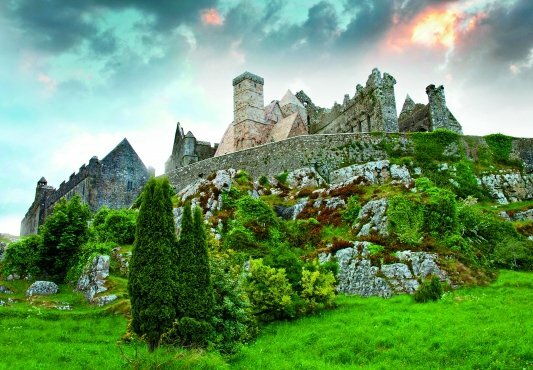 Originally constructed during the ninth century, the castle has been expanded over its nearly 1,200 years from a wooden fortress surrounded by earthen bulwarks into an imposing citadel. Today, it anchors an entire district spread over 18 acres and is the largest ancient castle in the world, stretching some 1,870 feet long and 420 feet wide. Among its fascinating mix of architectural styles, its classical Baroque façade dates to the 18th-century reign of Maria Theresa. 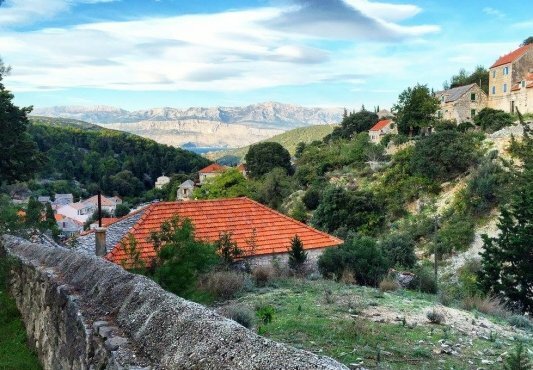 It’s easy to spend a day among this fortress-like village of royal buildings and courtyards. Browse the art galleries at the Convent of St. George and at the Lobkowicz Palace and peer inside the stunning St. Vitus Cathedral. Perhaps you will visit the Jewish Quarter of Josefov, named after the Emperor Josef II, whose reforms helped to ease living conditions there. Located in the Old Town, or Staré Mesto, the Jewish Quarter includes the remains of Prague’s former Jewish ghetto. Since many Jewish people died during World War II or were forced by the Communist regime to leave the country, the current Jewish community in Prague numbers only 5,000 to 6,000 people. First recorded as early as 1091, the Old Town is the oldest of Prague’s quarters. Its center, the Old Town Square, is dominated by the Gothic-style Church of Our Lady Before Tyn, with its distinctive twin gables, and the Town Hall. You might also wish to explore the “New” Town, founded in the 14th century. At 9:00 a.m., meet your VBT representative in the hotel lobby to transfer to Nuremberg, Germany (approximately 3.5 hours). You will stop just before the German border to stretch your legs and perhaps purchase a coffee or water. Arrive at the dock in Nuremberg at approximately 12:30 p.m. and board your Emerald Waterways ship. Today, continue to explore Budapest on your own during your independent trip extension. This cosmopolitan city offers very different experiences on each bank of the Danube, and a wealth of historic and cultural treasures. Upon arrival at your hotel, you will have received a complimentary two-day public transportation pass, sure to make exploring easy. Outside your hotel on the Pest side of the river, uncover the history, art, and archaeology of Hungary at the National Museum. Visit the magnificent St. Stephen’s Cathedral, named for the first king of Hungary, whose right hand is said to be in the reliquary. Take in the grand Heroes’ Square. Or browse the many stalls and food offerings of Market Hall, the city’s largest indoor market. Across the river, on the Buda side, you might explore the vibrant Castle District, a UNESCO World Heritage Site perched some 550 feet above the Danube. In the Old Town, you can view the Gothic Buda Castle and explore narrow medieval streets and squares, browsing shops and sampling Hungarian specialties at cafés. Head over to Fisherman’s Bastion for sweeping, panoramic views of the ornate Parliament Building and the rest of the city. The only city in the world with thermal springs within town, Budapest is a city of spas—about a dozen—where locals gather to “take the waters” and catch up on family gossip. Your hotel can help you find the one that suits you. After breakfast*, transfer to the Budapest airport (approximately 30 minutes) for your departing flight**. Please ensure you are waiting in the hotel reception area at the designated transfer time.